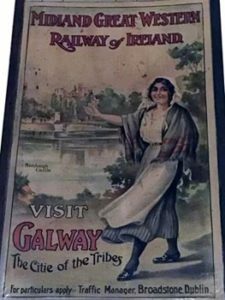 Maam Cross railway station on the erstwhile Galway to Clifden branch of the former Midland Great Western Railway of Ireland is set to see trains again after over eighty years of disuse. 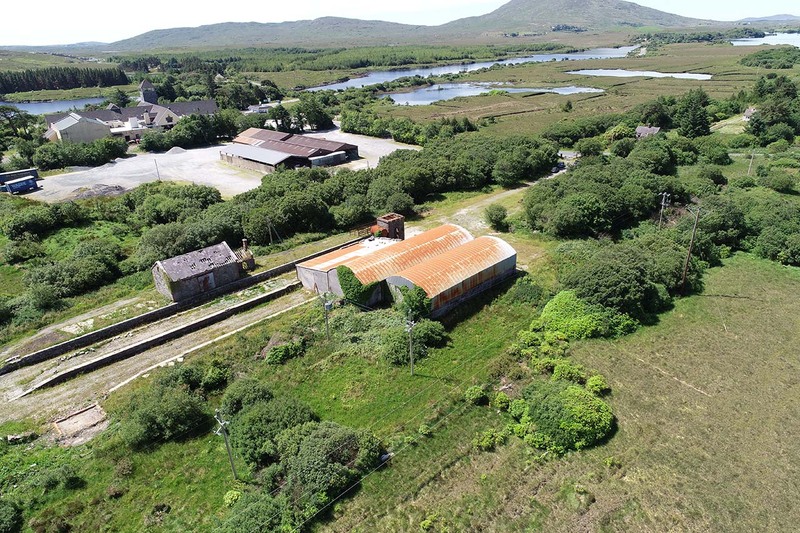 The derelict station standing on 8.5 acres has been acquired by a not for profit company limited by guarantee – MGWR (2017) DAC with a view to its restoration in the Connemara wilderness. The Promoters vision is to recreate a snapshot of the west of Ireland country railway, complete with track and heritage trains – a working railway experience, drawing on early to mid-twentieth century themes of emigration, conflict, rural life, and of course ‘The Quiet Man’ which was filmed in the surrounding savage beauty of Connemara. 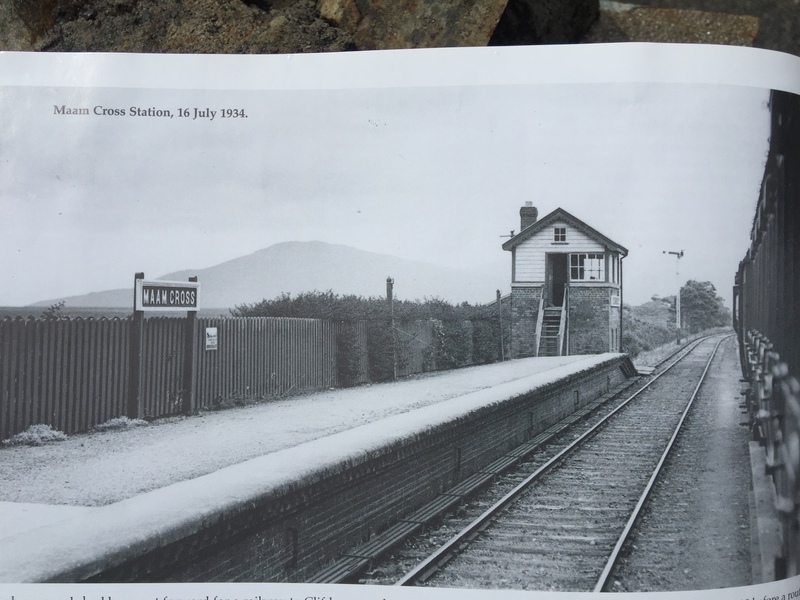 Maam Cross station opened in July 1895 to serve the vast hinterland of the Maam Valley and Joyce Country to the North, and Carna, Rosmuc, in South Connemara. 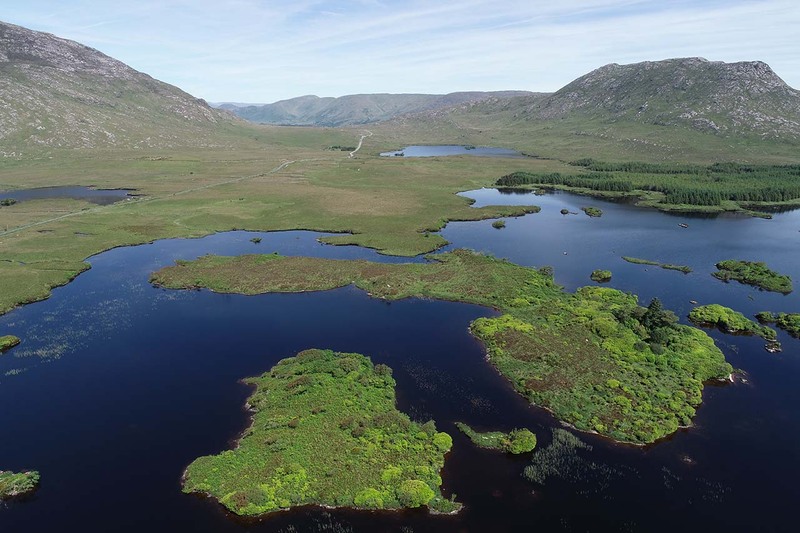 The Clifden extension , of which it was one of the intermediate stations, was one of what were known as the Balfour Lines – built with government assistance to open up the remote far west of Ireland and stimulate economic activity – in the so called ‘Congested Districts’. In 1925, like most railways in Ireland ( Irish Free State ) the MGWR was absorbed by the new Great Southern Railways. The early years of the new GSR was taken up by repairing the extensive damage wreaked on our railways by the War of Independence and more particularly the Civil War. The 1930’s dawned with worldwide depression. Retrenchment and decline soon forced the GSR to close its most uneconomic route and the Clifden line was one of three former Balfour lines to go – closing on April 27 1935. 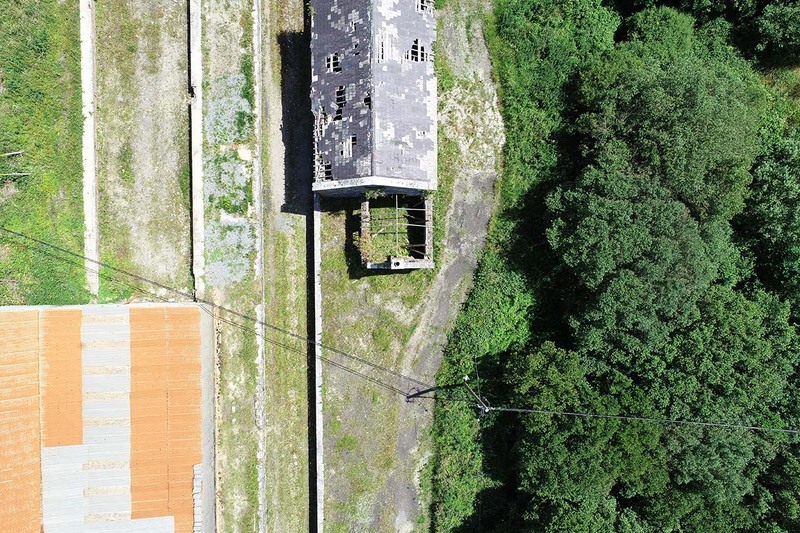 By 1938 the track had been lifted and soon after went through the formal abandonment process. Maam Cross station lay forlorn and unused until the early 1960’s when the station buildings on the up platform were demolished and large sheds erected – to house a seaweed factory, this operation lasting until the early 1970’s when it too closed down. Since then the site has been used for storing such diverse materials such as wool and building materials. Apart from the main building and the signal cabin the station is remarkably intact – consisting of up and down platforms, water tower (minus tank), loading bank, cattle pens, and goods store. The new company’s plans include reinstating railway track along the approximately 400 metres of available trackbed with associated trackwork largely in keeping with the original layout. 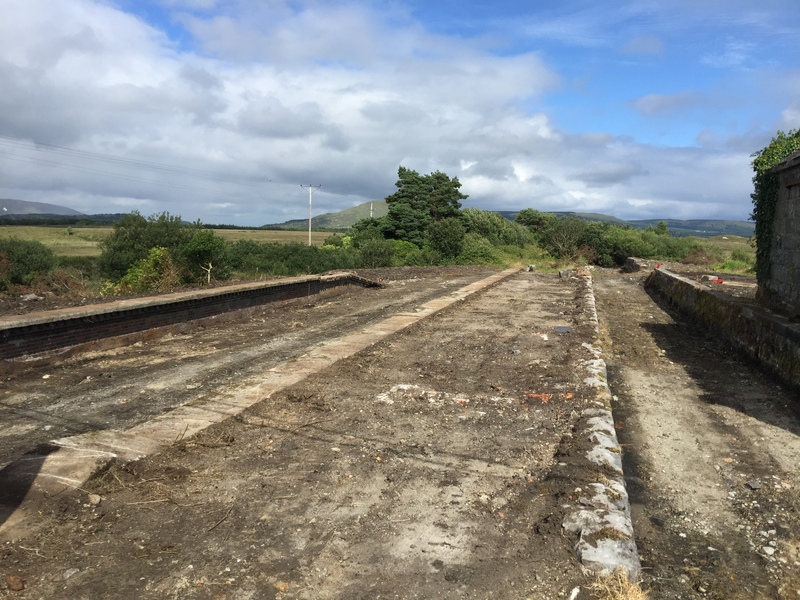 Refurbishing the platforms, rebuilding the signal cabin and down platform waiting shelter, restoring the Goods Store, and replacing the water tank. The existing yard entrance gate will be replaced by replica of the original pattern which seems to have been unique to this branch of the MGWR. An appropriate level crossing gate will also be erected on the site of the original within the site boundary. 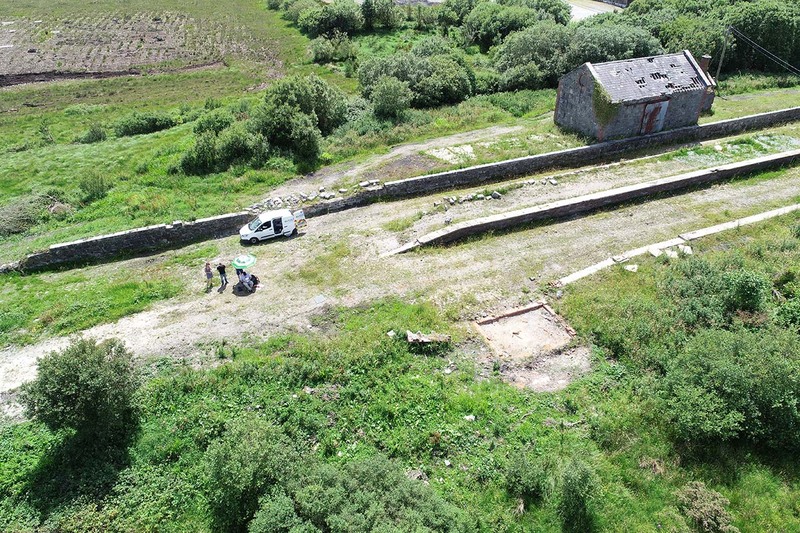 When these works are complete (subject to planning permission ) it is hoped that this recreated Connemara railway station will once again echo to the sights, sounds, and aromas of a working Irish country railway – complete with heritage trains* – allowing families, tourists, all comers, and enthusiasts to once again experience an aspect of Irish rural social history that has all but disappeared in this State – an all-weather family attraction with widespread appeal!